Dr. Spencer Lew is a New York City native. He attended Queens public schools and graduated from Stuyvesant High School in Manhattan. Dr. Lew went on to receive his B.A. degree in biology from Queens College in 1989 and his D.D.S. (Doctor of Dental Surgery) degree from Columbia University in 1993. 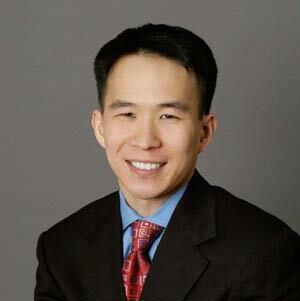 After completing a one year residency in general dentistry at Lenox Hill Hospital, Dr. Lew returned to Columbia Dental School to complete the AEGD (Advanced Education in General Dentistry) program. He then spent two years in the sedation and anesthesia training program at the University of Medicine and Dentistry of New Jersey. Dr. Lew served as a clinical instructor on the faculty of the New York University College of Dentistry from 1997 – 1999. He became a Fellow of the Academy of General Dentistry in 2001. Dr. Lew practices all aspects of general and cosmetic dentistry, with special interests in the areas of pain and anxiety control and the treatment of medically compromised patients. He is a member of the American Dental Association, New York State Dental Association, American Academy of Cosmetic Dentistry and the American Dental Society of Anesthesia.